The President underwent surgery to reconstruct his intestinal transit and remove the colostomy bag he had been using since the September knife attack. 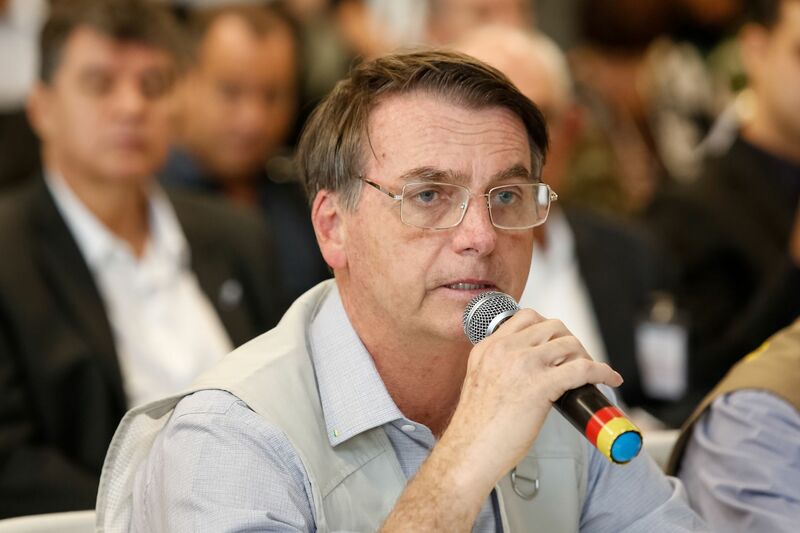 RIO DE JANEIRO, BRAZIL – Two days after undergoing seven hours of surgery to remove a colostomy bag, Brazil’s President Jair Bolsonaro is expected to return partly to work on Wednesday. According to government officials, the president will meet with cabinet members from an office set up in a Sāo Paulo hospital. One day before being admitted into the hospital, President Jair Bolsonaro speaks to reporters in Brumadinho, photo by Isac Nobrega/PR. “It was a difficult time as a result of an assassination attempt aimed at destroying not only me, but the hope of many Brazilians for a better future. I thank God for being alive, for the professionals who cared for me here and for all of you for your prayers! I’m fine,” the President wrote on his social media on Tuesday. Doctors say that the surgery to reconstruct Bolsonaro’s intestinal transit and removed the colostomy bag he had been using since September was successful. The President was attacked in September of 2018 while on a campaign rally in Juiz de Fora, Minas Gerais. According to the medical report released on Tuesday night, the president had a positive clinical evolution and did not present bleeding or a fever after the procedure. According to government spokesperson, Otávio do Rêgo Barros, by the end of the afternoon the President was sitting up and starting to do physiotherapy exercises. President Bolsonaro is expected to stay at the Sāo Paulo hospital for at least eight more days. On Saturday, one day before leaving for Sāo Paulo, Bolsonaro visited Brumadinho, the city devastated by the dam burst on Friday, January 25th.